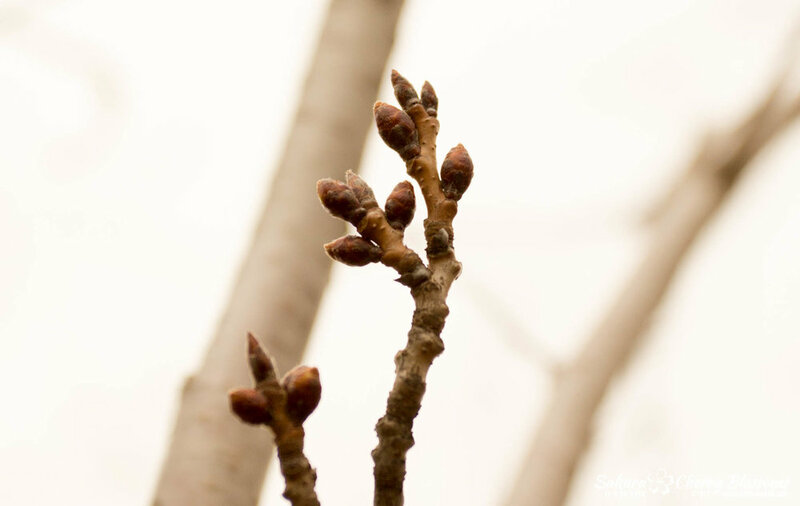 Sakura Watch, March 26, 2017 - I saw little change in the buds throughout High Park. 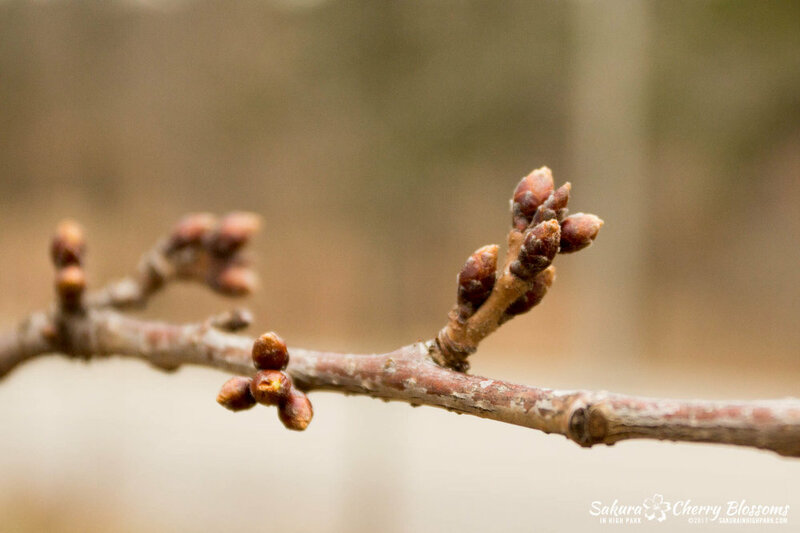 Though the buds do look healthy with a full round shape, they are still slowly developing. Best estimates would be they are still in the first stage and getting close to moving into the second stage. It looks like mother nature is figuring out when to turn up the heat. As colder temperatures go up and down these past few weeks, there has not been enough consistent numbers to help stabilize the development. One big positive is the winter overall had been milder than last year. The rain in recent days is also a boon to the trees. 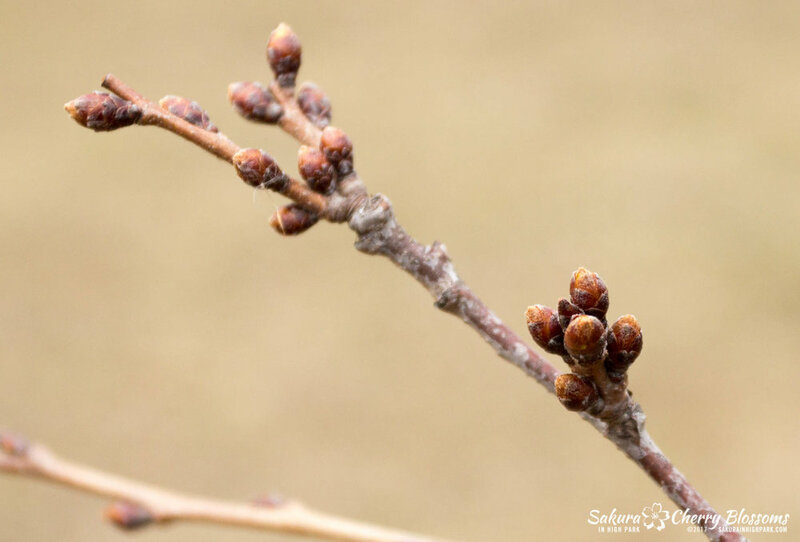 The thirsty sakura cherry blossom trees drank up the water helping the buds to grow fuller. As of this week, the trees continue to develop into the average time of development of late April to early May. Interestingly, Toronto is one of the most northern climates where Japanese cherry blossoms can actually bloom. In Japan, the Hokkaido island has the most northerly locations where cherry blossoms bloom in Hakodate, Sapporo and Muroran. So when things go right, Toronto sakura should be in full bloom near or at the same time as they do in Northern Japan. Currently, these locations are forecast to show full bloom between May 3-May 10. 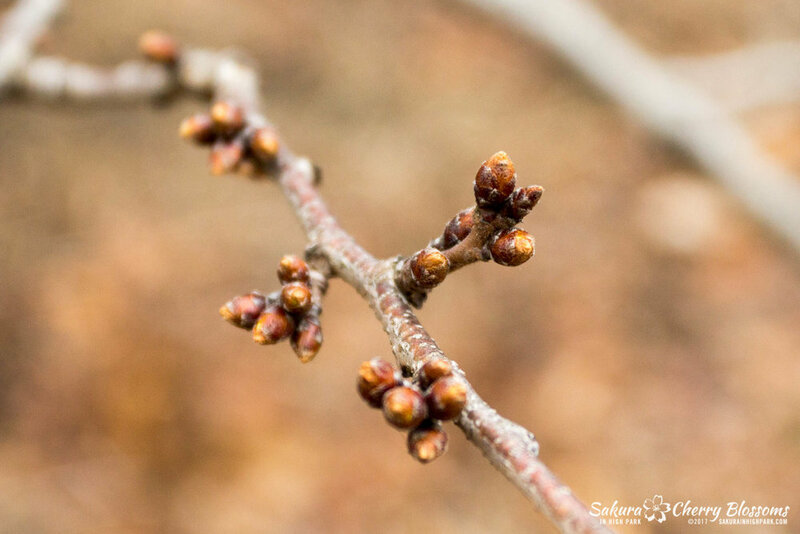 Toronto weather over April will dictate when we should see our bloom. 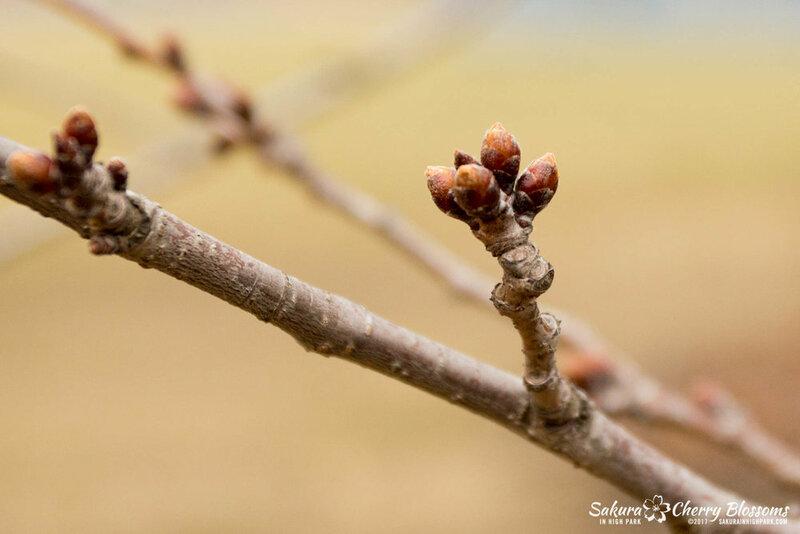 Stay tuned for more updates so you won't miss our blossoms!